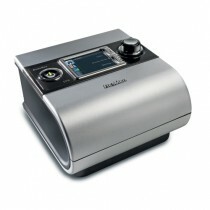 CPAP Machines generate continuous positive airway pressure (CPAP) to treat sleep apnea patients. Sleep apnea occurs when muscles relax during sleep to block the upper airway passages. The positive pressure forces the airway open and keeps it open as long as the pressure is continuous. CPAP devices have adjustable pressure to meet the needs of individual patients. Treating sleep apnea is essential to prevent a multitude of ailments, including snoring, obesity, diabetes mellitus, fatigue, daytime sleepiness, hypertension, heart disease, and intellectual decline. Keeping the airway passages open to allow air to reach the lungs is important to your health. The images below portray normal breathing compared to sleep apnea and the possible illnesses that can result for blocked airways during sleep. 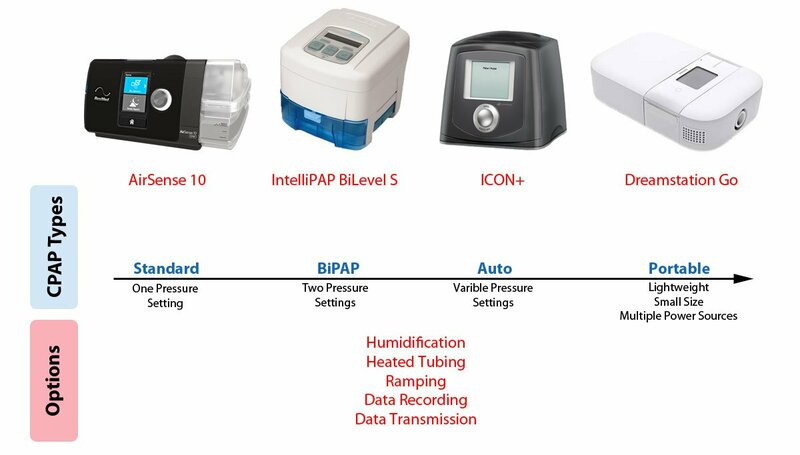 What Are the Key Components of a CPAP System? Home CPAP Machines are respiratory devices used for the treatment of obstructive sleep apnea, also known as OSA. Obstructive sleep apnea is the suspension of breathing during sleep, even though attempts to breathe are being made. 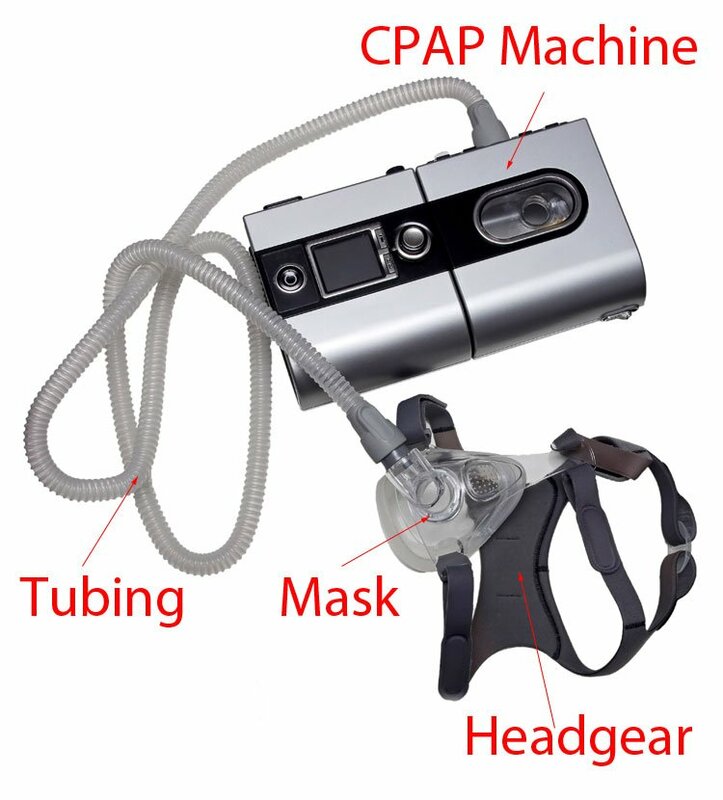 A Sleep Apnea CPAP Machine does not breathe for you, as it is not a ventilator, and it is not oxygen (although you can use CPAP breathing machine in conjunction with supplemental oxygen). 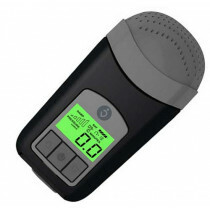 CPAP works by channeling room air to your airway. Essentially, CPAP therapy is as an airway splint which provides support for breathing. It dilates the upper airway to prevent episodes of apnea throughout the night. 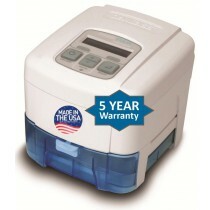 CPAP breathing machines are available in four different types—Standard, BiPAP, Auto and Travel. The type of machine that is best for you should be determined by your doctor. 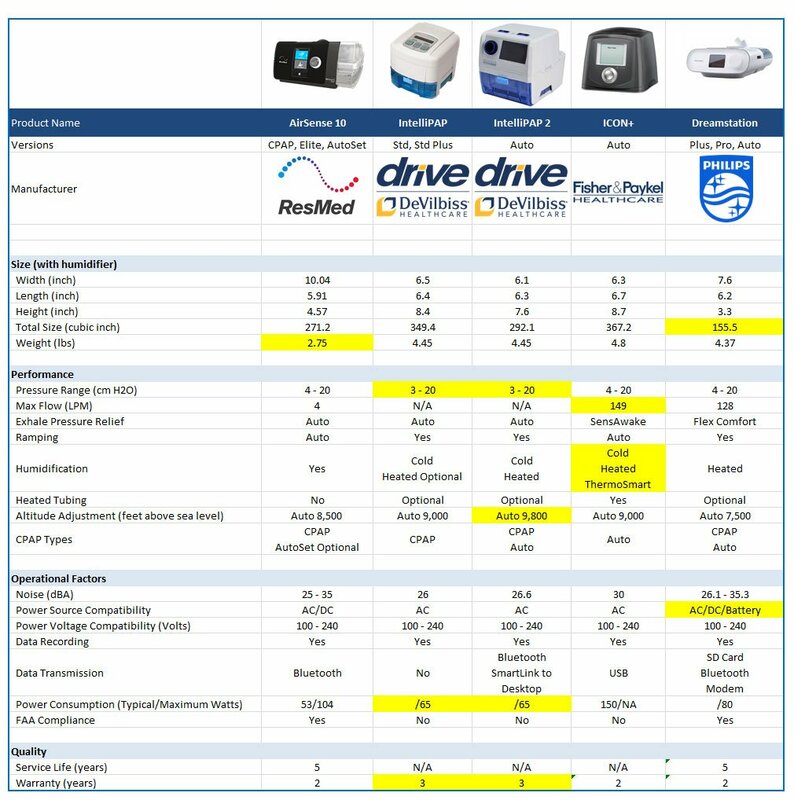 offer an assortment of options including a fixed pressure, variable pressures, Below is a summary of each type of device. 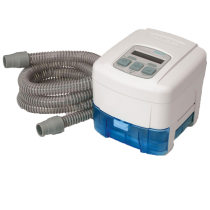 Standard CPAP machines deliver a set amount of continuous pressure that is unchanging. Once that pressure amount is set, the machine will only deliver that amount throughout the patient’s sleep. 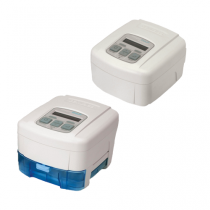 BiPAP devices offer two separate amounts of pressure. The first amount is during the inhalation cycle. The other is when the patient exhales. These two pressure settings are set and remain unchanged throughout the patient’s sleep. An auto adjusting CPAP device provides variable pressure. This device comes with a sensor that detects the patient’s breathing pattern and automatically adjusts to meet the patient’s needs. The adjustments occur throughout the patient’s sleep as the pressure requirement change throughout the night. 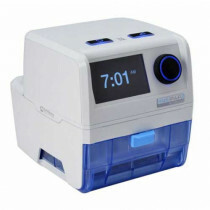 Portable CPAP machines designed for travel are lightweight and operate from multiple power sources. 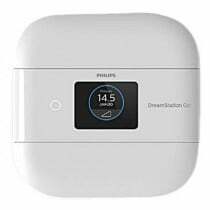 Since AC power may not always be available while traveling, Travel CPAP devices incorporate DC power sources which may include DC current from a car, boat, or RV and/or battery power. Portable machines offer small size to be easily packed for travel and to take up little space when operating. This feature reduces the air pressure flow when the patient exhales. This makes it easier for the patient to breathe smoothly and stay asleep. The ramp feature allows patients to starts off with low pressure and build up to the prescribed therapeutic pressure. This feature helps sleep apnea patients transition from normal breathing while awake to the pressure they need to keep their airway passages open while sleeping. Ramping allows patients to gradually make this transition instead of all at once. This feature has undergone medical studies and found to help patients with better compliance with their sleep therapy prescription. Many patients find that their airway passages become exceedingly dry during sleep apnea therapy. This can become very uncomfortable to the patient, decreasing their compliance. Adding cold humidification or heated humidification can make a significant difference for the patient. In colder climates or during the winter, some patients find that their humidified air in cools in transition from the CPAP device to the mask while in the air hose. This cooling effect causes condensation to form within the hose. Droplets of water can form, making it difficult for the patient to breathe. A heated air tube keeps the humidified air warm and prevents condensation. This allows the CPAP patient to comfortably breathe throughout a cold winter’s night. 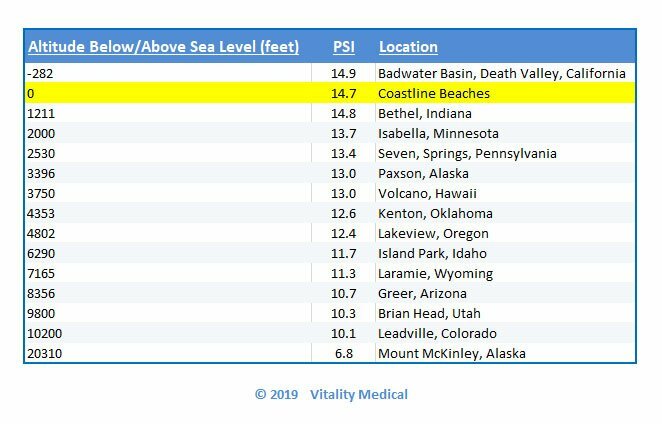 At sea level, the air pressure is 14.7 pounds per square inch. As you rise in elevation, the air pressure decreases. As you go below sea level, the air pressure increases. CPAP patients living in areas that have higher altitudes need to adjust their CPAP machine to compensate for the difference in air pressure. Some manufacturers of CPAP devices have incorporated automatic adjustments within their device. Below is a chart displaying the an elevation table for air pressures. Click here for a larger chart of Altitudes and Air Pressure. Many CPAP machines can store data on a memory device. This information can be analyzed to make adjustments and customize your sleep apnea therapy. Many CPAP devices provide an SD card for data storage or a USB cable to transfer data to your computer. Many also have a Bluetooth option that allows you to transfer data to your smart phone or to your provider to track your CPAP therapy performance, progress, and compliance over time. This information tracked on your CPAP Machine can be quite important and useful to your health provider, allowing them to make adjustments or changes to your setup, including altering the pressure, based on therapy outcomes. Providers can make these adjustments remotely. Below is a list of features that you might want to consider when selecting a CPAP device. This list of features can serve as a guide and as selection criteria to pick the best CPAP machine for your needs. Power voltage compatibility – 100 to 240 VAC is best to allow worldwide usage. Need to check on plug-in adapters for the countries you plan to visit. These devices have an electric motor that generates air pressure. This air traverses from the device to an Air Supply Hose. The air travels down the hose to a CPAP Mask that forces the air through the nose or mouth of the patient. This pressurized air forces the patient’s upper airway open and keeps it open to allow uninterrupted breathing during sleep. Do Insurance Companies Pay for CPAP Machines? Yes, most insurance companies cover the cost of the devices and their replacement parts. 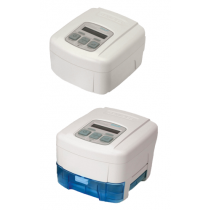 Home CPAP machines and their parts have Medicare reimbursement codes. Check with your insurance company to determine coverage and the process for reimbursement. There are a number of side effects that can occur from CPAP therapy. Nearly all of them involve the CPAP mask. The side effects include leaking masks, improper fitting masks and failure to property maintain the mask and equipment. Below is a list of common side effects. 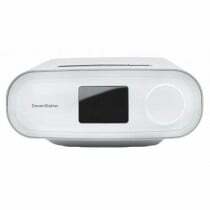 CPAP Apnea CPAP machines are the most effective method for treating sleep apnea. See the Medical Studies section of this web page. 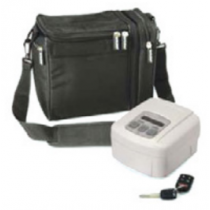 Are Portable CPAP Machines for Travel Effective? Portable devices are smaller and more lightweight than standard models. Like standard models, they deliver pressurized air to the patient. Portable CPAP is also available in auto versions. Because of their small size, their cost is more than standard models. What Is the Best CPAP Machine FOR SALE? The top searched devices on the Internet are listed below. Kribbs, Nancy Barone, et al. "Objective measurement of patterns of nasal CPAP use by patients with obstructive sleep apnea." American Review of Respiratory Disease 147.4 (1993): 887-895. Engleman, Heather M., Sascha E. Martin, and Neil J. Douglas. "Compliance with CPAP therapy in patients with the sleep apnoea/hypopnoea syndrome." Thorax 49.3 (1994): 263-266. Johnson, Karin Gardner, and Douglas Clark Johnson. "Treatment of sleep-disordered breathing with positive airway pressure devices: technology update." Medical Devices (Auckland, NZ) 8 (2015): 425. Mcardle, Nigel, et al. "Long-term use of CPAP therapy for sleep apnea/hypopnea syndrome." American journal of respiratory and critical care medicine." 159.4 (1999): 1108-1114. Ficker, J. H., et al. "Evaluation of an auto-CPAP device for treatment of obstructive sleep apnoea." Thorax 53.8 (1998): 643-648. Fratantoro, Mike. 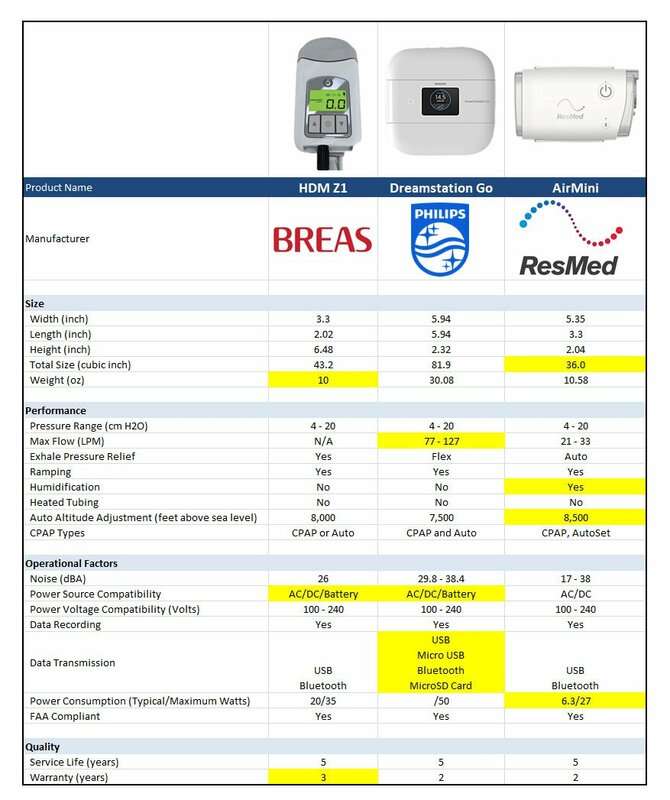 RT for Decision Makers in Respiratory Care by Fratantoro">The Race for the world's smallest CPAP system." 30.3 (2017): 4-5. Isetta, Valentina, et al. 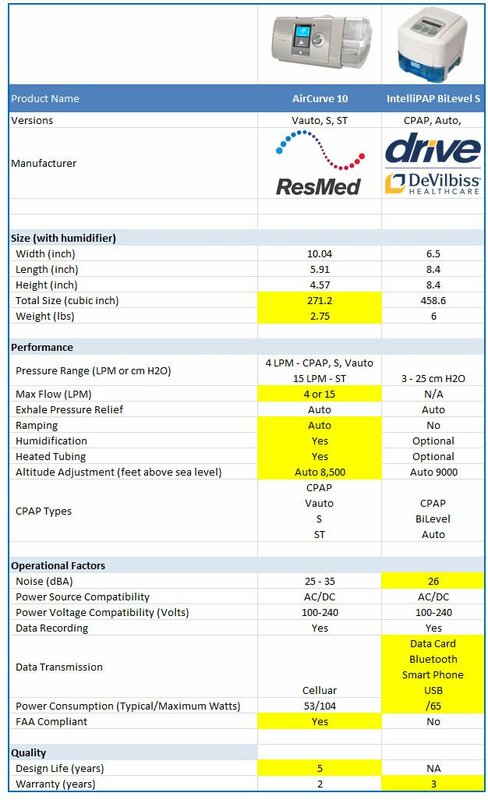 "Comparative assessment of several automatic CPAP devices' responses: a bench test study." ERJ open research 1.1 (2015): 00031-2015.